You know how it is. Over the last several months, you’ve downloaded a bunch of apps, because hey most of them are free, right? And after trying them out, you decide some are just not for you. Or you find another one you like better. Or you play a game until you’re tired of it and now you’re never going to touch it again. For whatever reason, it doesn’t take long before your phone is just loaded with apps. Now you’re low on storage space and you’ve got four home screens full of app icons, most of which you haven’t touched in ages. 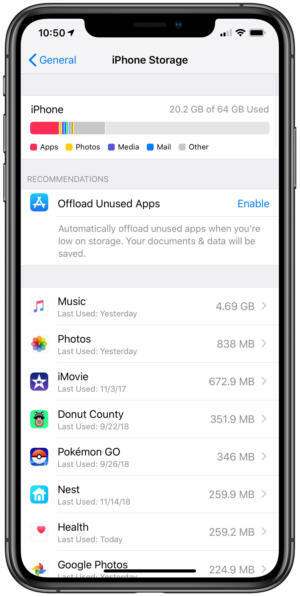 Here’s how to delete or offload apps in iOS 12 and clear up some storage space. The simplest way to delete an app is to do it directly from the home screen. It couldn’t be easier: just tap-and-hold on any icon or folder. When your apps wiggle around and get a little (X) in the corner, you’re ready to move or delete them. After a couple seconds, all your icons and folders will start to do a little wiggle dance, and the app icons will get an (X) icon in the upper left. If you have a device with 3D Touch, be careful not to press too hard; a hard press will probably pop up a contextual menu rather than putting the home screen in its rearrangement mode. You can now drag around your app icons to move them, or drag them on top of each other to make folders. If you tap that (X) icon, it will delete the app. 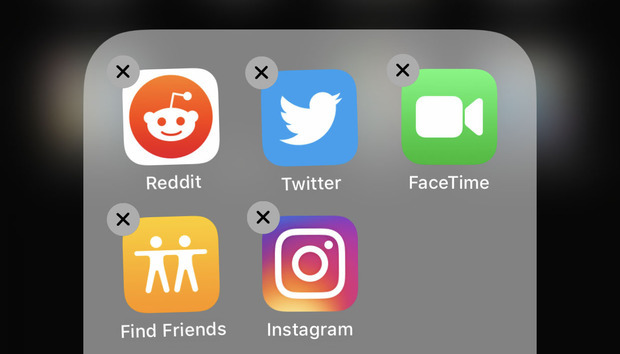 If you want to delete apps within folders, just tap on a folder to expand it, either before or after you tap-and-hold. In the Settings app, you can see how much space each app is using, and either delete it or offload it. There’s another way to remove unwanted apps, and while it’s a little more involved, it’s a lot more useful. A few layers deep within the Settings app, you can see a list of all your apps and how much storage space they’re taking up. 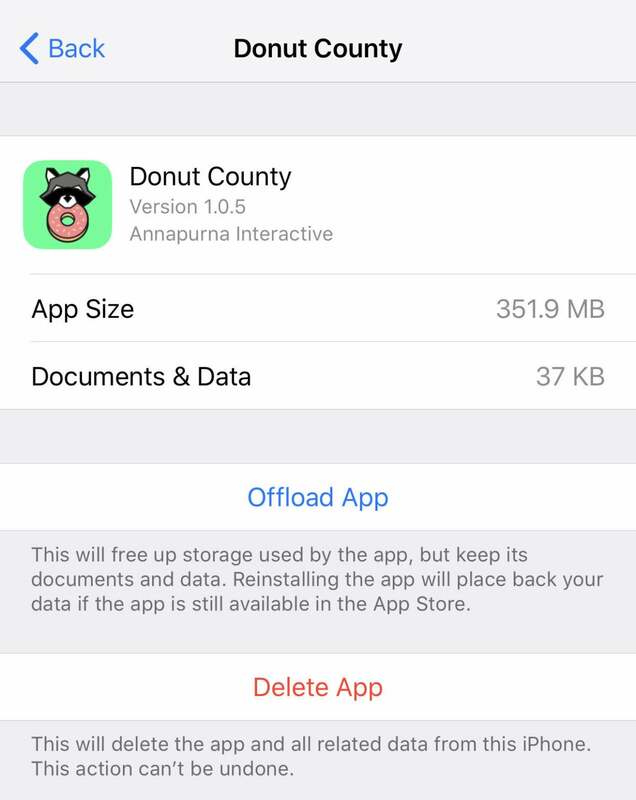 You can then either delete the app, or simply “Offload” it to remove the app but keep all its associated data (in case you want to re-install later). Open the Settings app, then tap General, then iPhone (or iPad) Storage. You’ll see a list of all the apps on your phone, along with the amount of storage space they’re using. This feature won’t do anything if you have plenty of storage space on your iPhone or iPad. But when you start to run out of storage space, your iPhone will automatically offload apps that you haven’t used in a long time in order to clear up some space. An offloaded app is not quite like a deleted app. When offloaded, the documents and data used by the app are saved on your phone, so if you ever re-download the app, nothing will be lost. What’s more, the icon for the app remains on your home screen with a little cloud icon next to it, indicating that tapping on the icon will automatically re-download the app. If you tap on any app in the iPhone/iPad Storage screen, you will see the app’s version, developer, and the amount of storage used by the app itself along with its documents and data. You are also given the option to either Offload the app, or Delete it entirely. Tap on an app in iPhone Storage to get details about its storage use, and choose to Offload or Delete it. So, you don’t have to enable the global “Offload Unused Apps” setting, you can choose to Offload select apps individually. This can be quite handy: some apps, like image editors or music apps, are often relatively small but store lots of data. Offloading those won’t clear up a lot of space. Other apps, like games, are often quite large but store very little data. Offloading those apps can free up a lot of space without losing any progress.